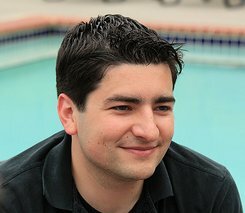 This is Andrew Montalenti’s personal site for code, essays, and ideas. Andrew is the CTO of Parse.ly, a long-time Pythonista, and a founder of startups and other projects. As the CTO of Parse.ly, I run a fully distributed engineering, product, and design team that ships a real-time and historical content analytics platform trusted by the web’s best brands and publishers. You can follow me on Twitter at @amontalenti or connect professionally on LinkedIn. You can also subscribe to my free e-mail newsletter, Fire and Motion, which discusses technology startups and business from the trenches. My name is Andrew Montalenti, and I want to make your life better. Technology has always been an obsession of mine, but not my only one. I still like to think of myself as a student, of Computer Science and other things. If I had all the time in the world and no money concerns, I’d get several university degrees, probably in History, Economics, Philosophy, Mathematics, and English. Since I don’t have that much time or money, I settle for reading about those topics and others in my spare time. In that sense, I take pride in my relative well-roundedness, especially for a bona fide computer geek. You’ll find less about my personal life here. You’ll find a little discussion of political topics, such as the media, economics, and ethics. But, mostly, you’ll find essays that focus on technology, usually related to computer science, open source, software teams, and high-growth tech startups. Some posts will dive deep on programmer topics, centered around Linux, Python, and other programmer tools. It is through this historical document that I justify my own yearning for change as nothing less than the true American spirit.